Cast aluminum is used in a wide array of items including cars, boats and motorcycles, pipes and vents, and various housing fixtures such as gutters and roofing materials. Although aluminum is highly resistant to corrosion, it is a soft metal and can easily become punctured or cracked. Fix these flaws in cast aluminum using a torch and an aluminum brazing rod. Aluminum brazing rods are made with aluminum combined with zinc and melt at a much lower temperature than straight aluminum, making it easy to melt the rod and fill in and patch cast aluminum parts. Clean the area to be patched with aluminum cleaning tools, such as a file or a wire brush. Caustic cleaner can be used if necessary. Use a torch to heat the area to be repaired to the melting temperature of the brazing rod. The area needs to be heated to about 735 degrees to melt the brazing rod. 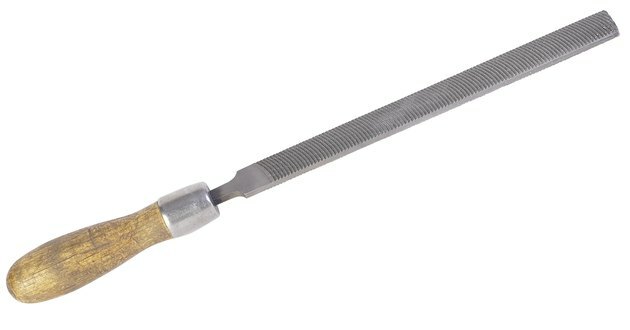 Touch the tip of the brazing rod to the heat area and scratch it quickly back and forth across the opening of the crack or hole until the opening is filled. Keep the area heated but never stick the brazing rod directly in the torch flame. No backing is necessary for filling gaps as the brazing material is self-suspending. It is also fairly self-leveling. After the patch is made, allow the object to cool. Sand and polish the area as needed. For most aluminum sanding jobs, it is best start with a coarse, 180-grit sandpaper and gradually work up to a fine, 2000-grit sandpaper. Use a dual-action sander for consistent, even sanding. Use a buffing tool and rubbing compound to polish the aluminum.